How many files do you access in your Mac every day? Do you still need all those files you downloaded a month ago? Do you know how many unwanted files you wish to delete, exists on your Mac? Managing folders and files become increasingly tougher over the time as you keep stuffing your Mac. If your Mac’s hard drive (or SSD) is occupied considerably, it is probably a good idea to use a dedicated storage manager; but the question is ‘which one’? Disk Analyzer Pro has some really good reviews on Mac app store so I decided to review this tool. Without much ado, let’s head straight to the point: How good is it? The whole idea of installing a storage manager is to have an easy control over files and folders that are otherwise difficult to manage. A typical interface may kill the purpose. Disk Analyzer Pro may overwhelm you with the number of options it provides, but a few minutes with the application and you would get the hang of it. It is easy to navigate your hard disk and to jump from a folder to another. Files are intuitively structured to suit the needs of the user. After a quick scan of your Mac, Disk Analyzer Pro provides a snapshot of the hard disk in ‘Overview’ tab. There is a pie chart that shows the amount of disk space used by various file types such as image files, documents, video files etc. A table beside the chart shows ‘file type’, ‘file count’ (no. of files in a given category), size, and percentage of space occupied. You can double click on any of the file categories to see their content (files, folders and sub-folders). Disk Analyzer Pro also shows the list of files (arranged in the decreasing order of their size) on the bottom of the overview tab’s screen. One can select any file and perform the functions such as copy, move, zip, or delete. The two stand-out features of the application that I liked are ‘Top 100 files by size’ and ‘Top 100 oldest files’. These two features enable a user to spot and delete large and obsolete files that would have been harder to find otherwise. These two are good nifty features that may recover a good deal of storage space in a matter of a few seconds. There are tabs that segregate the stored files according to different criteria. File explorer, as the name suggests, allows you to explore the folders and files of the selected scan location. You can click-open any folder, preview the files, and manage them. Similarly, any of the tabs can be used to see the list of files. Disk Analyzer Pro enables you to select a file (or multiple ones), select any options among delete, copy, move, or zip and you’re good to go. There are two other tabs namely ‘Apps’ and ‘Obsolete Files’; the former shows the list of installed apps, and the latter shows the list of log files and other temporary files that are of no use. This application allowed me to remove files that were occupying gigabytes of space. Organizing the files using the tool is effortless as well. One can select any file, select the move or copy option, select the folder one wants to move or copy files to, and that’s all. 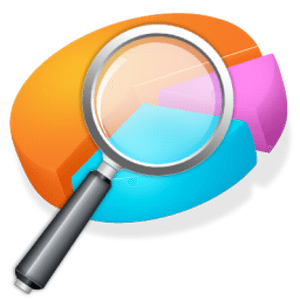 Disk Analyzer Pro is a comprehensive package and provides a good value for your money. Accessing files and deleting, copying or moving them is as easy as it gets. There is no merit in keeping the hard disk of your Mac loaded with frivolous application and files. 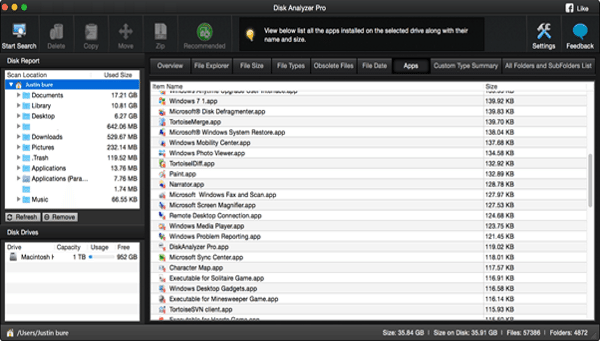 You can definitely consider using Disk Analyzer Pro for keeping your Mac speedy and organized.